Fun flower bindis in assorted colors! 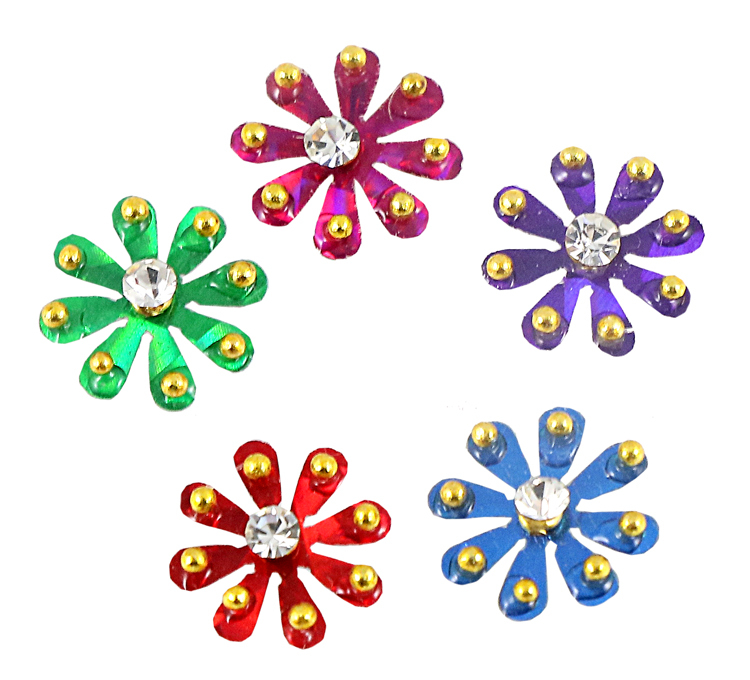 Fun flower bindis in assorted colors! These can be worn anywhere you desire. Self-stick adhesive back. Approximately .375 inch width each individual bindi. 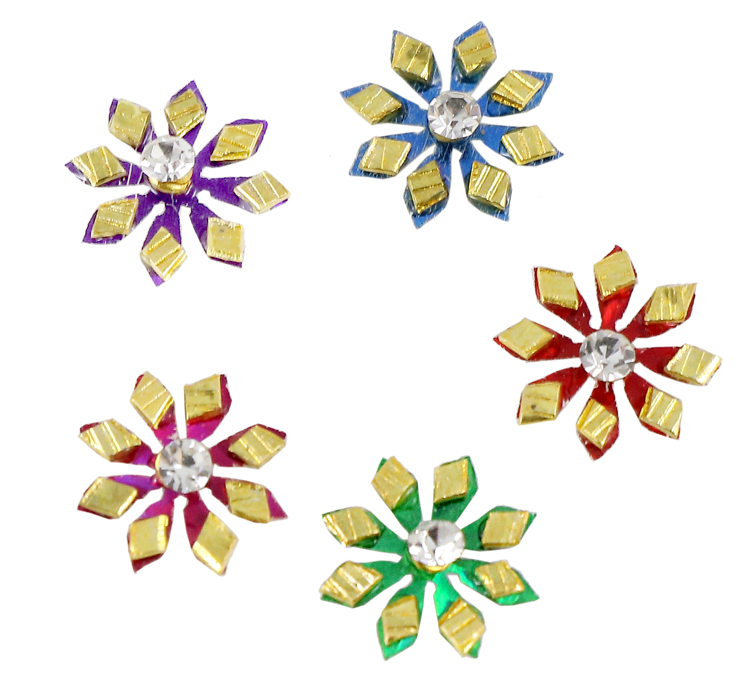 Five individual bindis per pack.